The big event in Canberra this month will be the biennial National Conference of the Children’s Book Council of Australia. Among those attending will be Jackie French, Bob Graham, Margaret Hamilton, Libby Gleeson, Margaret Wild, Julie Vivas, Stephen Michael King, Steven Herrick, Robert Ingpen, Nadia Wheatley, Dr Belle Alderman, Dr Mark Macleod, Laura Harris (Penguin Books), Erica Wagner (Allen & Unwin), Andy Griffith and Terry Denton, with many other treasures. As this year marks the centenary of the beginning of the First World War and also the 75th anniversary of the outbreak of the Second World War, the conference dinner will be held at the Australian War Memorial, where the speaker will be Jackie French, who has written on many war-related topics. I’ll be speaking on Saturday afternoon, looking at the way children’s books have depicted the experience of war over the past 100 years, especially Anzac: examining the way they’ve shifted from heroic postures of war to the grimmer realities of the battlefield … and asking how – indeed if – this change has altered the attitudes of young people to war. 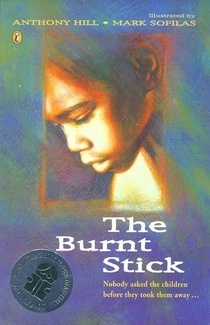 Teachers will be glad to know that The Burnt Stick is now available as an eBook. It's taken a little time, but Penguin was able to put it up online with all the major systems just a week or so ago for a price of around $12. A link to the Penguin eBook website is here. Select your favourite device and type in The Burnt Stick. The Burnt Stick, illustrated by my friend Mark Sofilas, was first published in 1994, and became a CBCA Honour Book for that year. It has sold widely, but the changes to the new National Curriculum, with their emphasis on Aboriginal perspectives, have seen a resurgence of interest from schools in the novella. Until recently I used to hear complaints from teachers that bookshops sometimes told them they couldn't get the book ... which was more a commentary on the booksellers, as the title has never been out of print. Still, with a couple of good reprints over this last year sales have taken off again, and the fact that The Burnt Stick is now an eBook will ensure the story is available the world over. You can click herefor background notes to The Burnt Stick, reviews, a Q&A and links to other sites, including the ‘Bringing Them Home’ report by the Human Rights Commission. The other good word from Penguin is that a new edition of The Story of Billy Youngis to be published in August, priced at around $22.95. This will be a smaller-sized paperback, known as a ‘b’ format, although it will be in almost every other respect the same as the original edition. I’ve taken advantage of the new edition to make a few minor corrections: nothing major, but removing a few glitches for accuracy. The lovely symmetry of 13s around Billy’s going to hospital in 1942 may be a bit more asymmetrical than we thought. 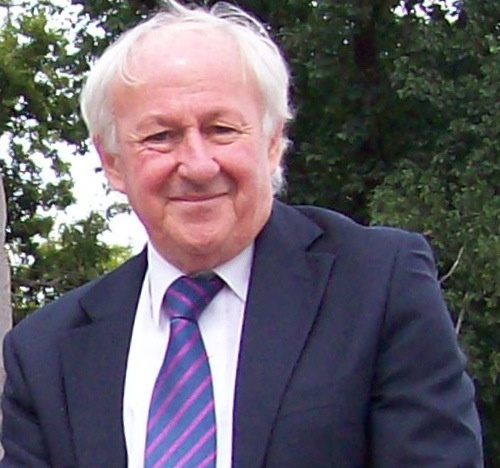 It now appears he left for 13 AGH at 1300 hours on 12 February. Pity. 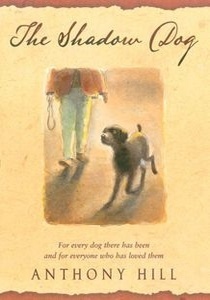 But it is hoped that the new edition will make Billy’s story even more widely known among readers. Billy painting again: Billy himself wasn’t too well earlier this year, but you’ll be glad to know that he’s now back home in Sydney and at 88 still looking after himself. Just as wonderful is the fact that he’s recently started painting again. I saw him a few weeks ago, and it was a joy to watch him at work. A couple of the new pictures are from his wartime memories of Sandakan. Readers will know just how emotionally powerful and evocative they are. He’s looking forward to the new edition of our book as much as I am. REMINDER eBook special. 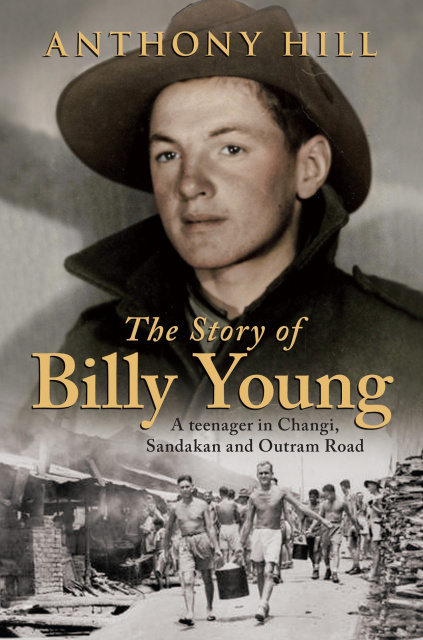 Just a note to remind that Penguin’s special Anzac Day sale of the eBook of The Story of Billy Young finishes on Friday 2 May. For the fortnight around Anzac Day it’s been on sale at $4.99, a big discount on the usual price of $19.99. For the link to the eBook site click here. Cleaning out the back shelf of the study wardrobe the other day, I found a number of copies of my out-of-print books that I’d forgotten about. As I don’t want to keep them all, I’m making some available to readers on a first come first served basis until stocks run out. • Lucy’s Cat and the Rainbow Birds, paperback ($15 plus $7.60 Australian domestic postage). I finished Part Two of the book I’m writing in early April – pretty much on schedule – and spent much of the time over Easter and the past couple of weeks checking, revising and editing the text … getting ready to send it to the publisher for a first look-see and preparing myself for Part Three. Two mountains climbed. Only one more to go … and I’m determined to get there by Christmas. I’ve decided to give the book the working title of Sacrifice, which I think is stronger and more meaningful than my first thought Aftermath. 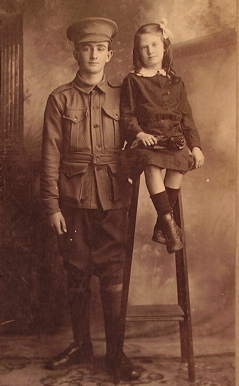 As you may know the story concerns a soldier-settler family from the outbreak of the First World War through to the tragic consequences of the Second World War: for it was the next generation of this family, as for much of the world at large, that made the ultimate sacrifice for the disasters of the Great War. Looking at the first two parts as a whole, I’m fairly happy with the way they’ve come together. The family story does seem to serve as a metaphor for the wider experience of peace and war during the period, but of course it will be for others to judge. I was very conscious of the eerie parallels between these happenings and events as they’ve been unfolding in Russia, the Crimea and Ukraine. I don’t know of course whether they will lead to the same awful outcome. But I do fear that unless Russian expansionism is stopped by political and/or economic means, it is very likely to lead to international conflict. Sooner or later the West will discover vital interests at stake. And the risk is always that leaders will conclude that the only response is to use force – as did Neville Chamberlain in September 1939, his life’s work trying to maintain the peace in ruins. A map prepared for Joseph Banks in 1772 – the first one showing Captain Cook’s chart of New Zealand and the east coast of New Holland made from his discoveries on HMB Endeavour was soldrecently. Only three are known to be in existence – one in the State Library of New South Wales, one in the British Library. The third was sold by Sotheby’s in London in March for £134,500 ($243,200), well above the pre-sale estimate of around £100,000 ($180,000). And much more than I paid for my map of the world signed by Admiral Isaac Manley, who was a servant and later Midshipman aboard Endeavour. Them’s the breaks! I’ve obtained the last few pieces of information needed about the Gorham family, to whom Isaac gave the map in 1834. I got a copy of Rev George Gorham’s will dated 1898, six years before his death. It’s clear that his four children all survived him, and his second daughter Edith, to whom he’d given Manley’s map, received a considerable bequest of family possessions and books. I’ll be writing an article for the Captain Cook Society journal, and will give you the links in a later newsletter. There have been some nice things come to hand in the last few weeks about Honoré (Henri) Hememe, the subject of my book Young Digger, concerning the French war orphan adopted as a mascot by 4th Squadron of the Australian Flying Corps after the First World War, and smuggled back to Australia. • A reader had photos of the plot in Fawkner Cemetery, Melbourne, containing the ashes of Captain Roy King, a member of 4th Squadron and a famous air ace. It’s near Digger’s new grave, and I passed them on to Wing Commander Harvey Reynolds, OC of the re-formed 4 Squadron RAAF. • He told me that Digger’s original tombstone is now preserved at the Squadron HQ at Williamtown air base in NSW. 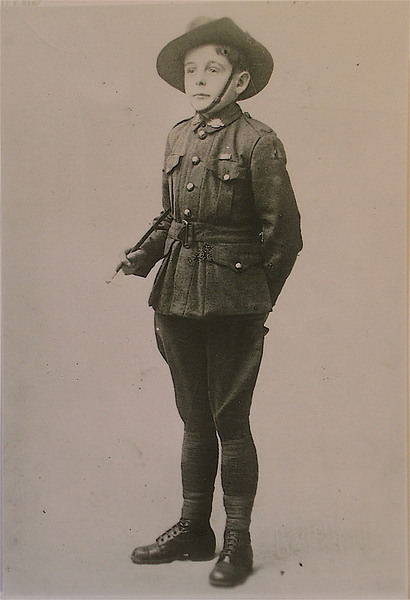 Harvey writes that Digger’s legacy has made him the most prominent figure in the unit’s history displays – more so than the VC winners. Indeed, the Squadron has an annual award to the member who most nearly exemplifies the qualities shown by Tim Tovell, the air mechanic who brought Digger home to Australia. • The Brisbane Courier Mail published a double page spread on Digger’s story for Anzac Day. 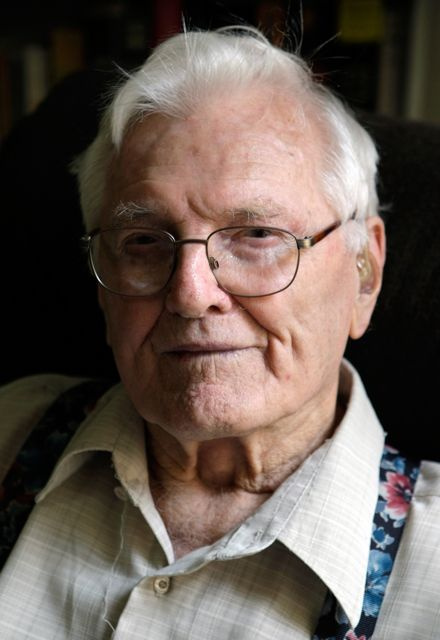 It featured a lovely photo and interview with Edith Lock, Tim Tovell’s surviving daughter, just turned 94, to whom Digger was her ‘big brother.’ I spoke to Edie the other day. She’s still in great form. Many happy returns! • And a French researcher, Philippe Clerbout, was in contact. He’s trying to find out who Digger really was. I’ll keep you informed of progress. I’ll be at Canberra’s Old Bus Depot Marketwith my books on Sunday 11 and 25 May. Come up and say hello if you’re there. I’d love to see you.